Boy, the information just doesn’t stop! In terms of the standard difficulty, it does adjust based on player performance. I’d like to believe that you were doing really well and so the difficulty ramped up even more. [laughs] But we have it tuned so that no matter how well you’re doing, there’s always going to be that sense of dread and tension there. Also, we are definitely implementing things that assist the player if they choose to utilize that stuff such as auto game. If a player thinks, hey, I’d rather have an easier time going through this, we will have those sorts of options as well. It sounds as though auto saving (a feature every game has had since RE5) might be optional, which is A-OK in my book. 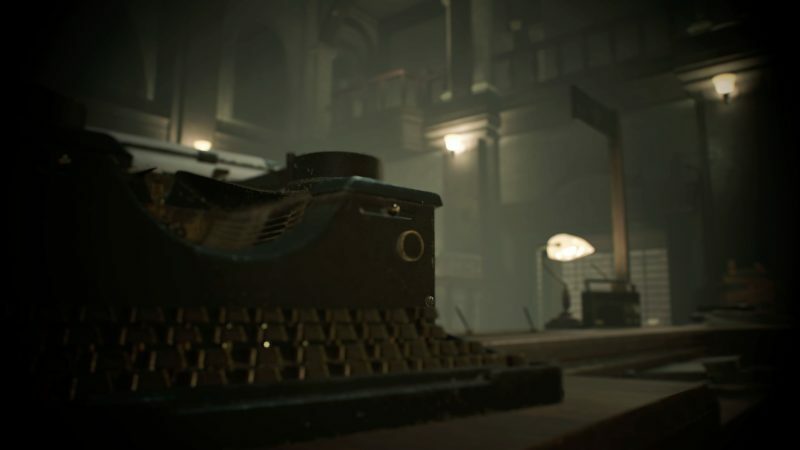 Speaking of difficulty (while this was already confirmed), Kanda reiterated that we’ll be seeing the return of limited ink ribbon saves on the hard difficulty (similar to the tapes in RE7, although I hope it’s even more brutal than that). As great as it will be to have new fans be able to enjoy the game, I really do hope that the hard mode is as trying as RE2 Classic‘s terrifying “Nightmare” difficulty from the DreamCast port. In terms of how we approached the audio and music this time around, I think a very important element in a franchise like this is making sure that players feel as much immersion as possible. With Resident Evil 7, trying to build as much immersion and tension as possible what we’d do was… well, because RE7 was a first person perspective, we’d pay more attention to the type of sounds that you’d hear around you. Audio that you’d actually hear in the world, in the surrounding environment. Sometimes there’d be music too. In order to build tension though, if there was a moment where we didn’t want players to know what was ahead of them we’d mute the audio cues to really ramp up the tension. 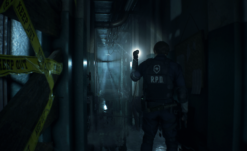 Because RE2 has a different camera angle we’re not incorporating the exact same techniques, but what we’re doing this time around is we’re trying to focus a lot on combat with zombies. Around that, we’re doing whatever we can to make sure the audio elements really enhance that tension and immersion with those elements that we’re trying to stress in RE2. One thing I want to stress is that the composer working on this title is the original composer [Shusaku] Uchiyama-san. So even if it’s 20 years later, this is very much his vision of what the audio should be for RE2. This is honestly awesome to hear. Especially considering the absolutely phenomenal score for REmake, which blended more haunting and somber recreations of the original 1996 soundtrack as well as more ambient and creepy new music. This has me extremely hopeful for a similar soundtrack, that blends familiar with a sense of loneliness and dread. As much as I love the original RE2 score I knew that it was more than likely changing… but knowing that it’s in the hands of the man who created it to begin with is satisfying to a tremendous degree. We’re still eagerly waiting to see the next snippet of footage from this game, and of course we’ll be there day one with all of you January 25th next year on PC, Xbox One and PS4.